The South American Stores (Gath and Chaves) Ltd.
Gath & Chaves Ltd opened in Buenos Aires in 1883 specialising in gentleman's clothing imported from Europe, in the style of Macy's or Harrod's. The entrepreneurs Alfredo Gath (1852-1936) and Lorenzo Chaves (1854-1932) had interests in different parts in the world. Over the years the firm prospered and over 30 regional branches were opened with a legion of employees, which grew into one of the leading department stores in Argentina. 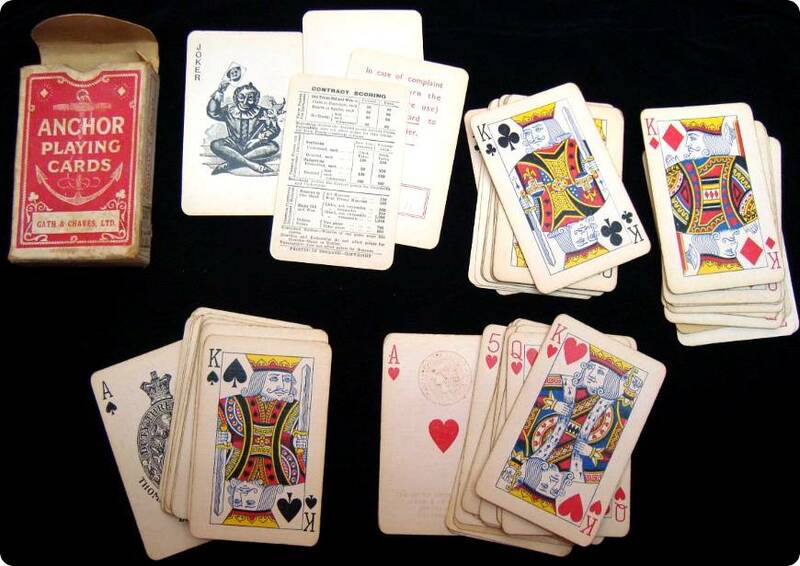 A wide range of goods were sold, from hats and lingerie to gramophone records and playing-cards. 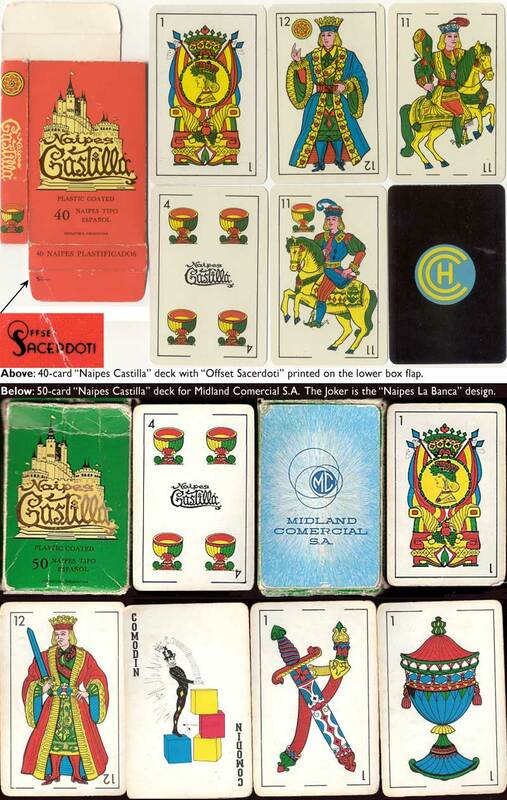 Playing cards were imported from leading European manufacturers including De la Rue and Grimaud. A branch was also opened in Santiago (Chile) in 1910. The store finally closed its doors in 1974. 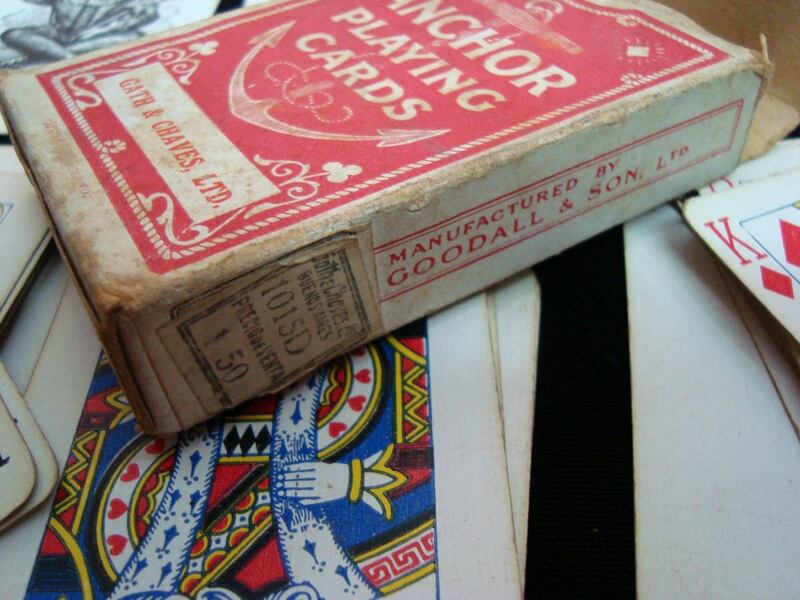 Above: pack of Anchor playing cards manufactured by Thomas De la Rue & Co Ltd during the c.1920s and early 30s for Gath & Chaves Ltd, Buenos Aires, using the Goodall & Son name and court card designs, which had been acquired in the 1921 take-over. Gath & Chaves' original price label is still affixed to the box. The Argentinian importation tax stamp can be seen on the Ace of Hearts (below). 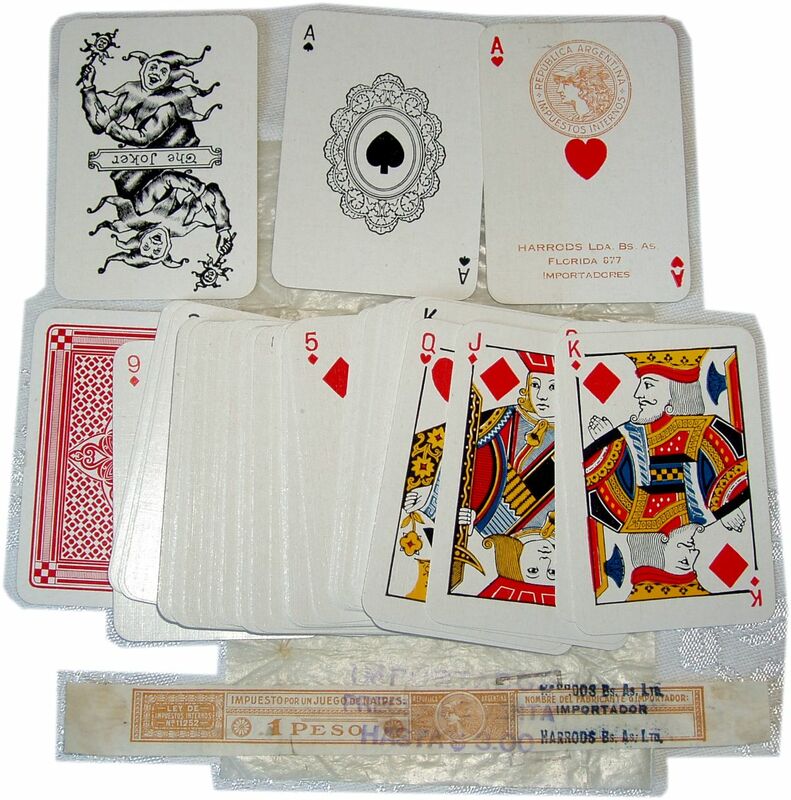 Above: 'Club' playing cards manufactured by B.P. Grimaud for Gath & Chaves Ltd, c.1920s. The Ace of Hearts and the box carry the Gath & Chaves logo.